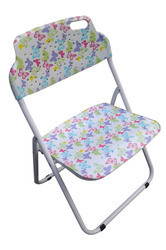 Prominent & Leading Manufacturer from Surat, we offer folding kids mosquito net-pink, folding baby table chair set (50x70 cm),wooden top,green leaves, baby diaper bag, folding baby chair with bag, folding baby table chair set and folding baby table - animals. Size 75x115x85 Cm. Wt. 1.2 Kg. 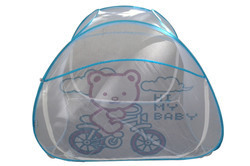 Folding Baby Mosquito net : is the self standing mosquito net bed canopy safe and user friendly for a baby. 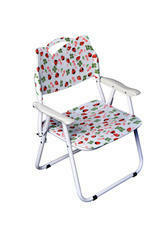 It is very comfortable to use and can be carried anywhere while travelling. 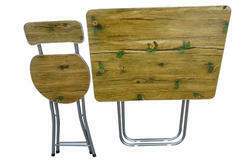 Folding table-Chair set, suitable to use as DINING TABLE, BABY STUDY TABLE, TEA TABLE, WRITING TABLE, LAPTOP TABLE Etc. Folding space saving design. 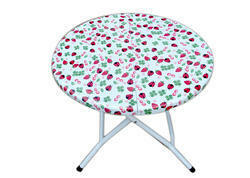 SUPPLIED WITH 1 TABLE AND 1 CHAIR. 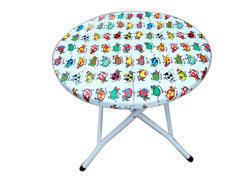 Extra chair of same design and print is available from AMAZE catalogue on . Dimensions-Table- 70 x 70 Cm Table Top, 72 Cm Height. Wt.-8.85 Kg. 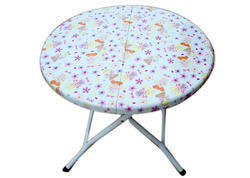 (Other sizes available 60x60 Cm, 50x70 Cm, 80x80 Cm, 90x90 Cm, 100x100 Cm). 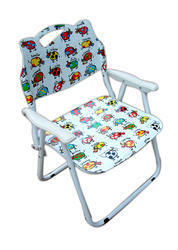 Chair - OVERALL- 30 x 40 x 72 Cm Height. SEAT - 30 x 25 x 43 Cm Height. Baby Diaper Bag is a very light weight mother's bag convenient to carry and hang on shoulder for a day's outing with a baby. 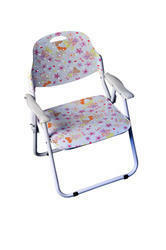 Made of very superior quality hygienic materials with a view to take maximum care of a baby. 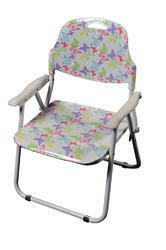 It has a very attractive look with floral print at front and stylish contoured look. Provided with sufficiently large zipper compartment to store baby's diapers and other clothes for a day's outing. 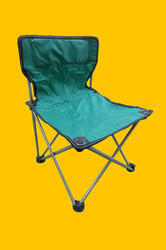 This product is a very compact design supplied with 5 accessories securely positioned in a front compartment. duly laminated and printed in various designer prints. Size 53x53x45 Cm Height. Weight - 5 Kg. 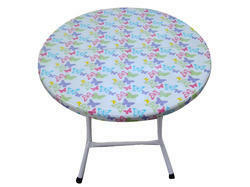 Table - 53 Cm Dia, 45 Cm Height. Size 53x53x45 Cm Ht.,Wt. - 5 Kg. 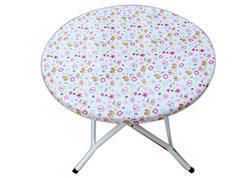 Dimensions - Table - 53 Cm Dia, 45 Cm Height. Size 54x54x45 Cm Ht., Wt. - 5 Kg. 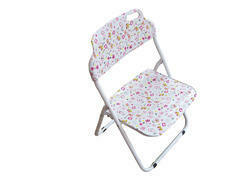 Size 53x53x45 Cm Ht., Wt.- 5 Kg. Size 37x31x59 Cm Ht., Wt.- 2 Kg. Suitable for a kids of age group 1 Yr. - 6 Yrs. 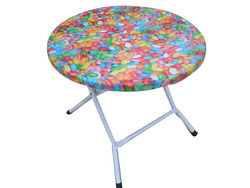 Materials Used : Superior quality polypropylene seat base , back rest,and arm rests Laminated flowers/fruits/animal prints on seat and back rest Powder coated M.S. tubular pipe frame Key Features : These chairs are proved to be the ideal toy for kids It is the most convenient to use in Nursery, Kinder garden, Play Group, Schools, Theme parks, Kids play stations, kids zone in food parlours,restaurants, clubs etc. 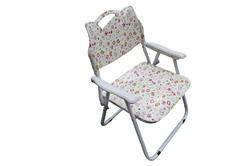 Easy to fold and unfold Easy to carry for outdoor use Available with arm rests and without arm rests Restricts sudden folding by locking from 2 sides in a chair with arm rest Comfortable for a baby to seat Attractive colorful printed/laminated designs Folding tables with the print/lamination matching to chairs available Weight holding capacity - 100 Kgs. 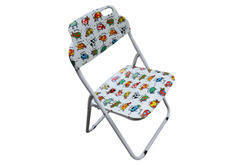 Chair without arm rest can also be used by adults Dimensions : Overall : 36 x 30 x 52.5 Cms Height Seat : 32 x 30 x 24 Cms Height Guarantee : Print lamination on seat base and back rest as well as powder coat finish of a metal frame are guaranteed for 1 Yr. from the date of sell against corrosion. Size 37x31x59 Cm Ht., Wt.-2 Kg. Size 37x31x59 Cm. Ht., Wt.- 2 Kg.